Valencia is known for the origin of Paella (risotto of sea food, you can cook it at home). But don’t go to Valencia just to eat Paellas. You can enjoy beaches and parties. You can go hiking, ride bikes to the mountains or run a race in November. I recommend traveling by bus or by car (search for someone already going to Valencia on BlaBlaCar, a popular car-sharing site in Spain). Valencia is the third most populated city in Spain (after Madrid and Barcelona). The originally spoken language is Valenciano and is very similar to Catalan, but everybody can speak Spanish. 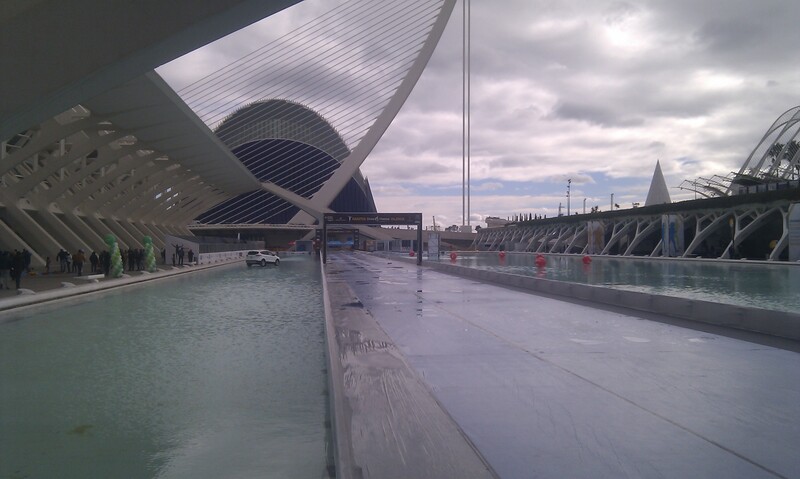 If you visit Valencia, you have to see the historical city center, Ciutat de les Arts i les Ciències. Come in summer to enjoy beaches and parties to the maximum. Andalusia is told to be the most beautiful part of Spain. For many centuries it was under government of the Muslims (as the majority of Spain, but the Muslim influence is most notable here). People speak Spanish with an andalusian accent. Typical andalusian architecture (also influenced by the Muslims) and a similar accent can be seen in many countries of Latin America, as many colonizers were originally from Andalusia. You can also spot orange and palm trees everywhere. Córdoba used to be a town of three cultures – Muslim, Christian and Jew. During the Reconquista, Christianity was promoted as a mean to unite people in recognizing of the God and the Christian kings. Muslims and Jews were either expelled or prosecuted by the Inquisition. The mixture of religions can be seen on the Córdoba’s cathedral – Muslim windows and pillars with Christian decoration inside. Besides the cathedral, Córdoba is full of Roman, Muslim and Christian monuments like ancient city walls, roman and arab baths, roman bridge, churches, synagogues, mosques, etc. Houses and streets are decorated with flowers. In May there is a flower decoration festival in Córdoba (every Spanish city has its own festival, you have certainly heard of bathing in the tomatoes, chasing with baby bulls of hundreds of kilograms, building five story tower of people or explosions of all kinds). 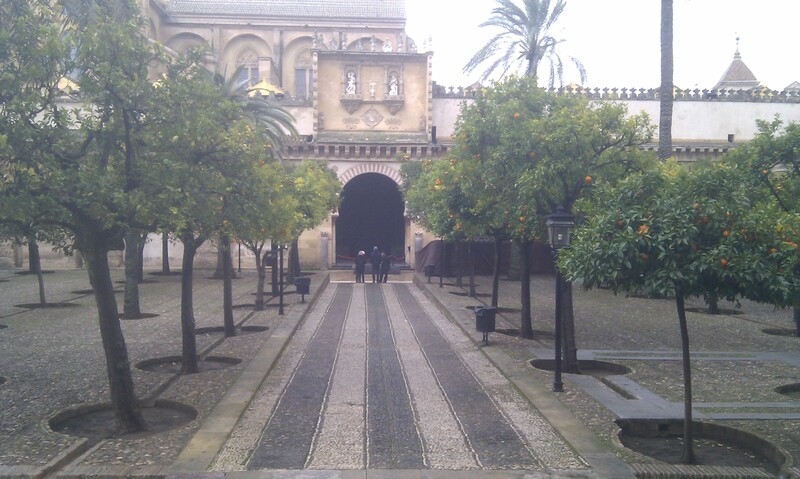 I went to see a friend in Granada. The town is much smaller and the atmosphere is more familiar than Madrid. It’s also cheaper. You can have two small beers with tapas in the size of a dinner for 3 euros. 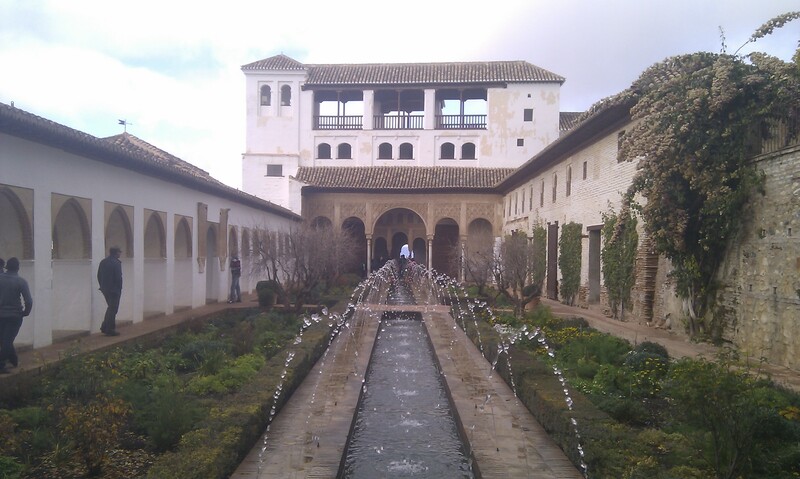 Alhambra is a complex of palaces and parks on a hill above Granada. You have to see it and preferably in summer. 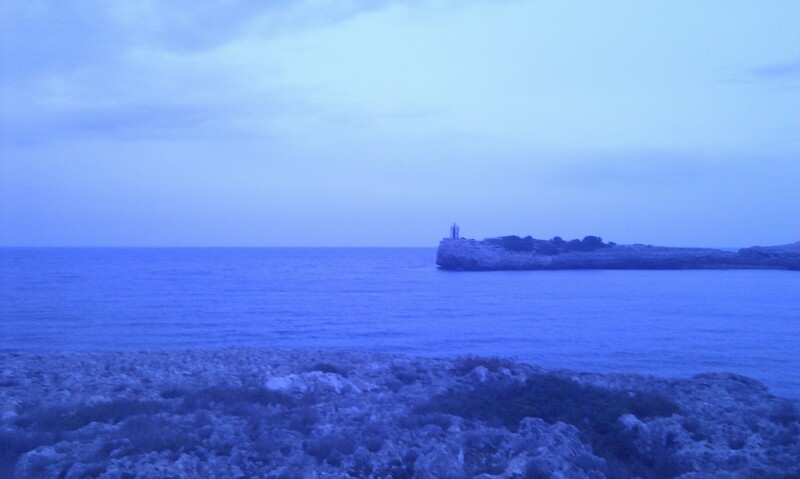 Mallorca is told to be a German colony. 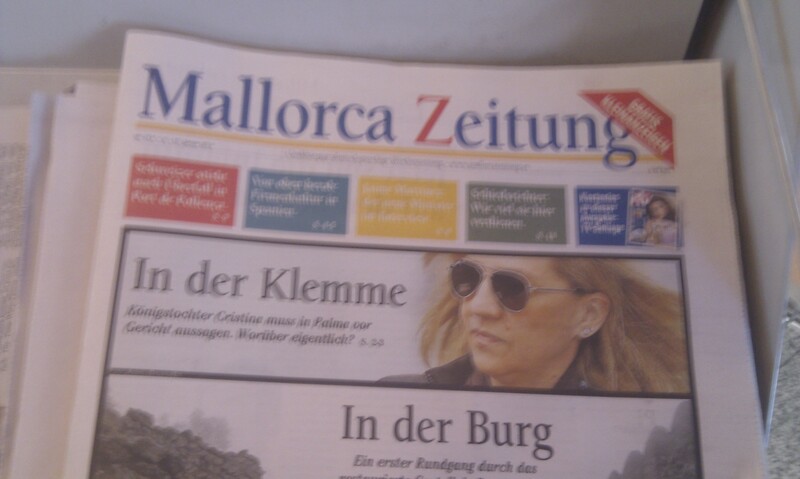 Everyone can speak German and English and I have also noticed this Mallorca Zeitung. You have to see the cathedral and the castle (at least from the outside 🙂 ). Pueblo Español is a complex of buildings, streets, squares and facades built as copies of various places and architectural styles around Spain. There is a cave Drach with the biggest cave lake in the world. It’s cheap to rent a car. And of course, if you come in summer, you can fully enjoy the sea (but you’ll also meet many tourists). There are so many places in Spain I haven’t been to yet. I would like to make a trip around Spain (Barcelona, Valencia, Granada, Málaga, Gibraltar, Sevilla, Córdoba, Madrid, Porto, Santiago de la Compostella) preferably in a May or a June. 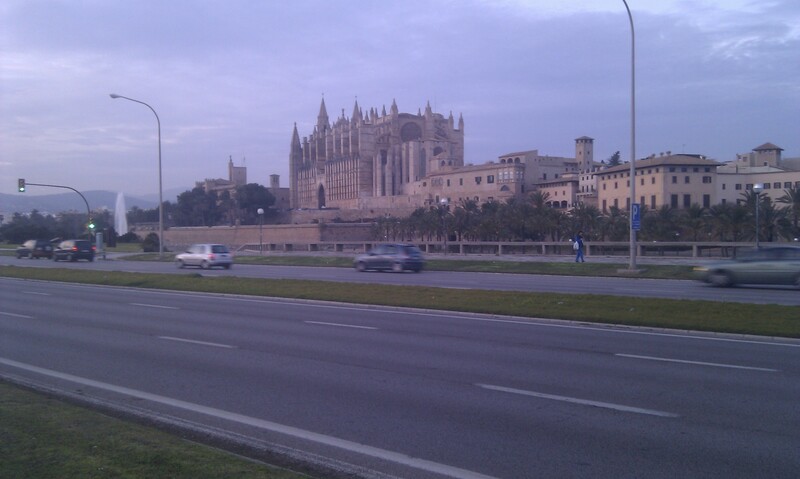 Also Spanish cities are not bad to live in. 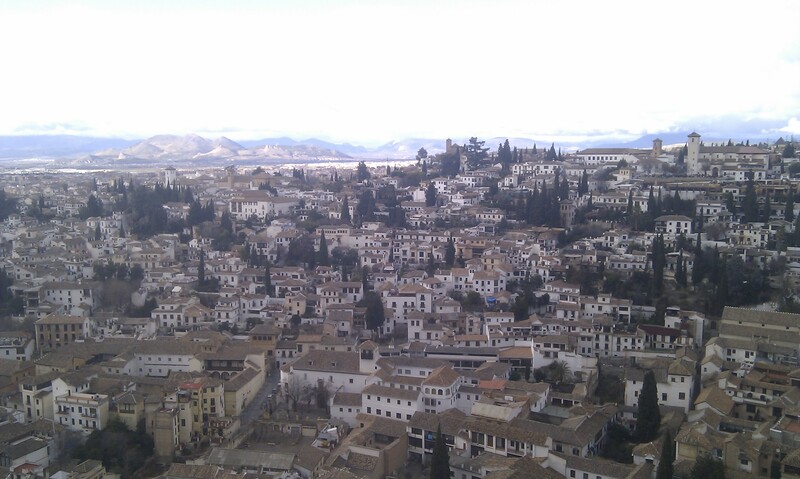 Smaller cities like Granada are much cheaper than the capital and much cheaper than Bratislava. If you want to work in Spain or have an opportunity to work from distance or have your own business, move to a small Spanish city for a few months. You can enjoy the sea, famous Spanish fiestas, learn Spanish and travel around for no more than standard living costs.